Most top schools require an IELTS score of 7, but a band 8 score will really help you be competitive. Here are some tips on how to get a band 8 in IELTS. What is an IELTS Band 8? First and foremost, if you’re going to get a Band 8 in IELTS, you need to know what Band 8 performance looks like. In IELTS Reading and Listening, getting a Band 8 score means correctly answering at least 89% of the questions. Since IELTS Reading and Listening have 40 questions each, this means at least 36 of your answers in each section muse be correct. In IELTS Speaking and Writing, Band 8 performance isn’t calculated simply by looking at raw scores. Instead, your performance needs to match the official description of IELTS Band 8. The IELTS Band 8 descriptors for the Speaking Section can be found on the British Council website’s IELTS Speaking Band document. And the Writing Descriptors for Band 8 (and all of the other bands) can be found in the British Council’s IELTS Writing Band Descriptors. Of course, scoring well in IELTS Reading isn’t just a numbers game either. To get that 89% or higher and reach Band 8, there are certain skills you should focus on. One very important IELTS Reading skill is vocabulary. IELTS Reading passages have some fairly advanced vocabulary in them. And IELTS Listening contains some high intermediate vocabulary. Moreover, you need to use a wide range of vocabulary in order to get a Band 8 in IELTS Speaking and Writing. If your English vocabulary is limited, you’ll be very uncomfortable with the IELTS Reading section. A poor range of vocabulary can slow you down, confuse you, and cause you to fall short of a Band 8. 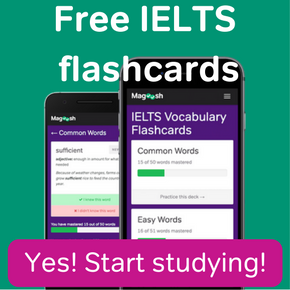 To build your IELTS vocabulary, you can look at free word lists on the Internet, such as the ones here on the Magoosh IELTS Blog, or on websites like IELTS Liz. 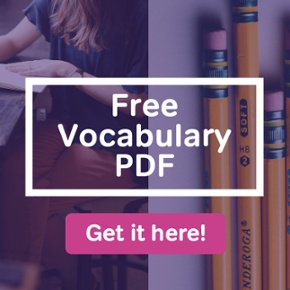 You can also buy official vocabulary books — complete with tutorials and practice materials — from Cambridge, the official maker of the IELTS. When aiming for Band 8, use Cambridge’s Vocabulary for IELTS Advanced book. IELTS Speaking and Writing don’t just require a good range of vocabulary — the band descriptors also indicate that you need to have a good range of grammar. This means, above all, using a variety of sentence structures. To get that Band 8 in IELTS, understand the many different ways to make a sentence in English. Practice writing the same thing in a variety of ways. 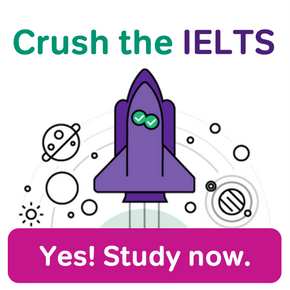 Top scoring IELTS students know that the most important skill isn’t to master a specific set of vocabulary words or specific grammar features. While vocabulary and grammar are important, your top priority in IELTS Reading and Listening is to understand the whole passage or the entire audio track. To get a Band 8, don’t get distracted by words or grammar structures that you don’t understand. Instead, read and listen in order to have a broader understanding. Get a sense of the context, and make educated guesses at the meaning of what you’re reading and hearing. If you can see “the big picture” in this way, you greatly increase your chances of answering the questions correctly, even when the questions are hard. Paying attention to overall understandability will get you a top score in IELTS Speaking and Writing, too. The Band 8 descriptors for these “productive” English skills talk about the importance of communicating “clearly” and having “intelligibility.” So as you develop your Speaking and Writing skills to the IELTS Band 8 level, focus on skills that make your speech and writing easy to understand: clear pronunciation, well-organized grammar, appropriate word use, and so on. With some time and effort, there’s no telling how high you can score! Dear MR DAVID! ,I would like to ask you some advice how could i do to get IELTS 8 band,i live in small country there wasn’t speaking English .i also go to test my English Level but get only beginning level .i want to study aboard and they requirement need IELTS .could you tell me what i must to do ? Glad to give you advice. It sounds like you need to build up your general English skills. There are a few different options for you here. One approach you could take is to use Magoosh IELTS’s 10 week “grammar focused” study plan for the IELTS. This study plan actually focuses on broader English skills and general English practice in every aspect of IELTS English, including grammar.You could also use a similar study plan oriented toward building broader English skills, such as this one-month study plan by Magoosh IELTS blogger Trisha Alcisto. You could also look online for local meetups for English conversation. Hiring an IELTS tutor could be helpful too. If you have the time and money, you may even want to consider an intensive English program at a language academy n your home country. 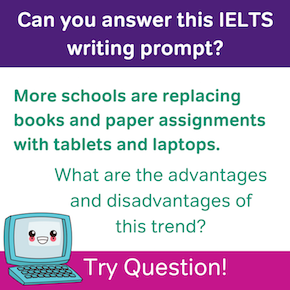 And if you’re really worried about your IELTS scores, you may want to check and see if the schools you’re applying to offer conditional acceptance. With conditional acceptance, you may be allowed to enter a university even if you don’t have the minimum IELTS core, on the condition that you take some extra English classes when you first arrive, before you start taking your regular degree courses.